Gov. 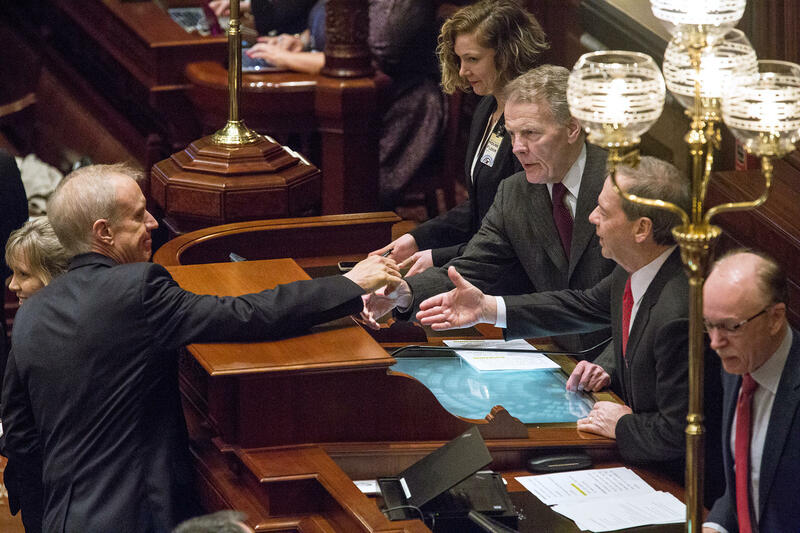 Bruce Rauner shakes hands with House Speaker Michael Madigan, left, and Senate President John Cullerton. He was delivering his 2018 budget message. 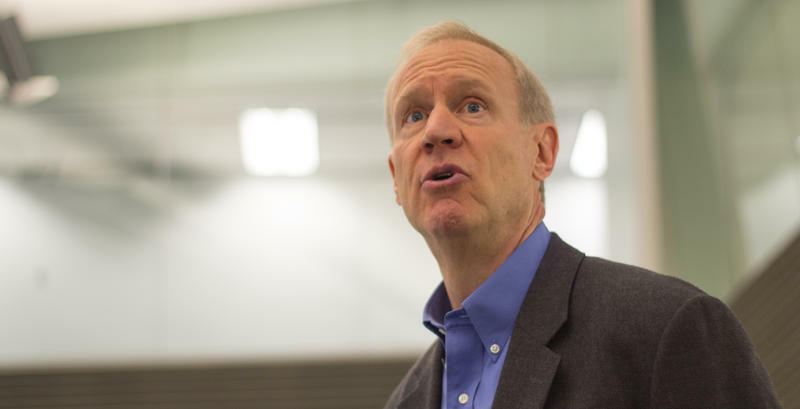 Just last week, Rauner told Sangamon County Republicans not only would he work to block a progressive income tax, but he’d try to get taxes “down lower from where they are today, and bring them back down to 3 percent over the next two years." 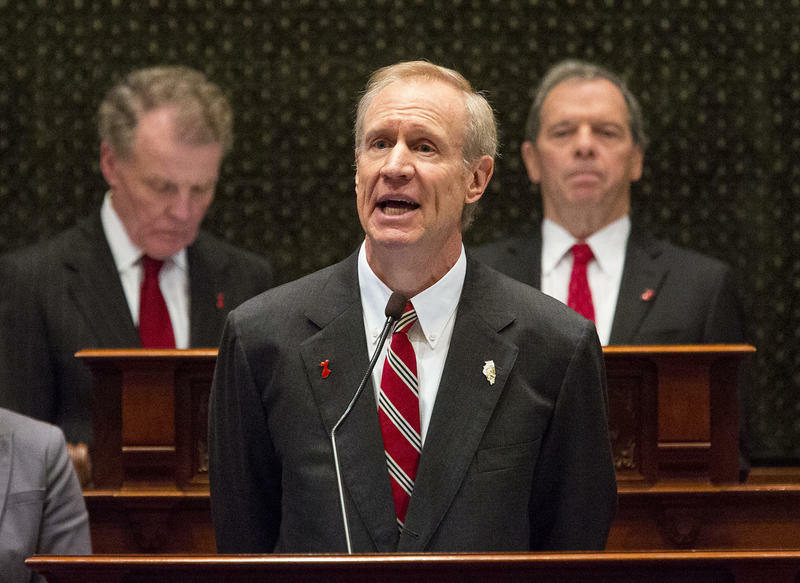 The budget proposal made no mention of 3 percent and no mention of two years. 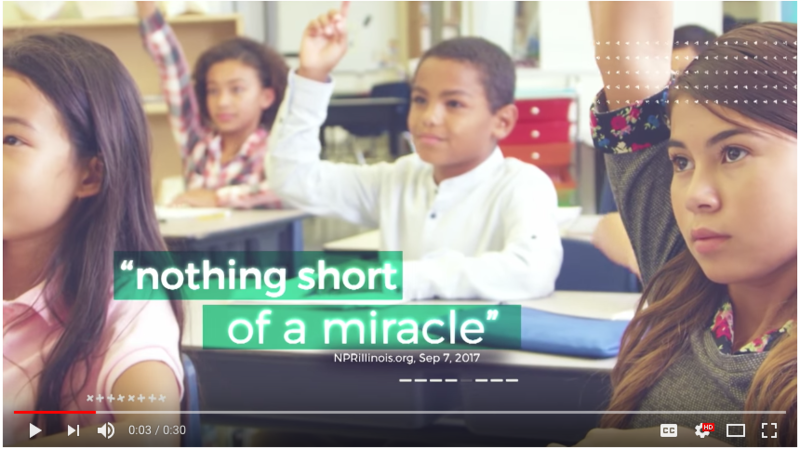 Instead, he talked about lowering taxes to 4.7 percent — a 0.25 percentage point drop from the current rate — and with no deadline. 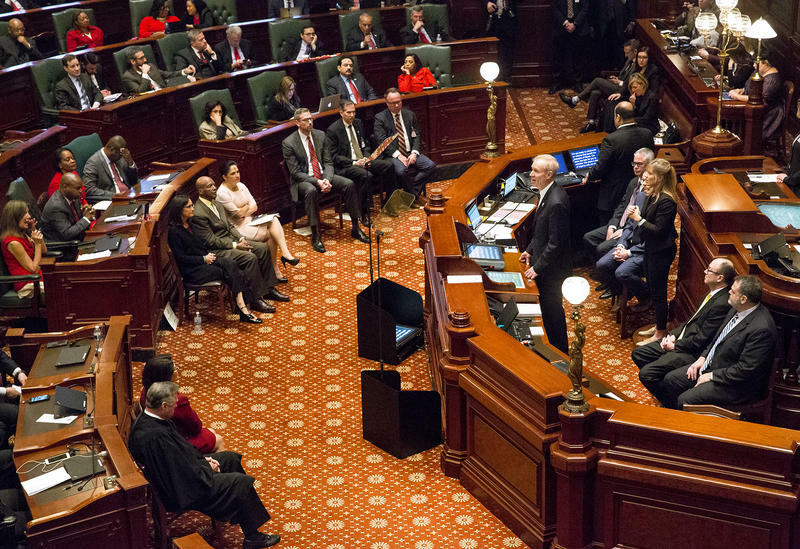 The reduction would come only after Illinois makes cuts in pension benefits for teachers and state workers — something court challenges would likely delay for years.